Dream Maker Ventures is the investment arm of Dream Maker Corp., a Toronto-based asset management firm that works in a variety of verticals including real estate, development, property management, and insurance. Graham is joining as the third member of Dream Makers Ventures, and a founding member of the Diversity Fund, alongside Newton Asare, the firms’ managing director, and Isaac Olowolafe, Jr., president of Dream Makers Corp., and founder and general partner of the VC firm. The three have been working together for the past few months building out what this new Diversity Fund will look like. The firm calls itself the first Canadian venture capital fund founded by persons of colour and women, focused on investing in diverse, underrepresented, and underestimated entrepreneurs. It is currently working to secure LPs, with the target of launching a $75 million fund, named Diversity Fund I. “Diverse teams perform better, all of the qualifications around who they [are], the perspective they would bring, even thinking about how to design the technology and how to build AI and machine learning,” Graham told BetaKit. She pointed to her five-plus years of experience supporting female founders, and Asare and Olowolafe’s work in their respective communities, as Dream Maker Venture’s competitive advantage. “[We] have already established strong relationships, so we see this as our competitive advantage to be able to access these deals, as well as be able to work very closely with very high potential companies, that have already been competitively placed within the community. We offer them value that others don’t,” Graham stated. Through the Diversity Fund, Graham and her co-founders will make early-stage, seed, and Series A investments in tech companies with founding teams that are inclusive of persons of colour, women, persons with disabilities, LGBTQ+, immigrants, and indigenous entrepreneurs. The fund will primarily focus on tech companies working in artificial intelligence, machine learning, blockchain, and consumer and enterprise software, both in Canada and the US. “Essentially we’re going to go in with significant due diligence. We’re not looking for tokenism, where it’s a group of five guys with one woman, we want to ensure that the decision making power rests within a diverse founding team,” Graham explained, pointing to how Dream Maker Ventures differentiates itself from other funds that focus on investing in underrepresented communities. Statistics show that diversity not only creates a more positive work environment, but can also help companies build better products overall, as well as improve financial performance. A recent Accenture report found that employees’ willingness and ability to innovate is nearly six times higher in companies with a robust culture of equality. And while the Canadian tech community has made attempts to focus on diversity, women, people of colour, and other underrepresented peoples, still only represent a very small number of tech founders and top executives. “We understand the impact, that decision making on the founding team becomes infused within the entire organization as it grows and scales. [It] is a critical decision for diversity to be represented in all forms,” Graham stated. Graham brings to Dream Maker Ventures her own years of experience fighting to bring women’s equality to the Canadian entrepreneur and investment world. She founded Communitech’s women entrepreneurs bootcamp, Fierce Founders, in 2016, which has since grown into two bootcamps a year, as well as an accelerator providing $500,000 annually to early-stage female-led startups. Danielle Graham, principal at Dream Maker Ventures. Credit Olivia Goldstein. “When we started the program, Communitech had about eight percent of startups that had one female founder and we got it up to 29 percent. So it made a difference,” she noted. Around that same time, Graham had started her own company, Crio Water, focused on a patented water purification device that offered a sustainable impact because of its high recovery rate. She founded Crio while completing her MBA at Laurier University in Kitchener, and went through the Laurier Launchpad program to help her commercialize. But with her experience at Communitech, and as an entrepreneur herself, Graham started to notice she was often the only female founder in the room. She recalled that she was also at the only female founder in the region, at the time, to receive funding from the Ontario Centres of Excellence (OCE) SmartStart Seed Fund program. “I started to see a bigger and bigger gap related to funding,” Graham told BetaKit. However, since the launch of Fierce Founders, Graham began to see similar initiatives emerge, including The Big Push, #MoveTheDial, and DMZ’s Women Founders Accelerator. “All of these initiatives and all of this diversity focus was starting up, which hadn’t been my experience coming up. I had faced a lot of questions marks even about the legality of only focusing on women,” she recalled. Graham was originally inspired to become an entrepreneur after working as a summer intern for USAID, helping with its microloan program in Ethiopia. 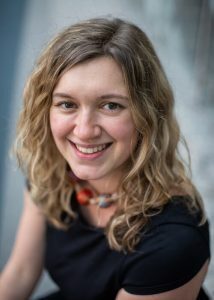 Graham herself grew up in Namibia, and Ethiopia, where she graduated from high school, before moving to Toronto to study international relations at the University of Toronto. “I was interested in entrepreneurship after seeing very successful female entrepreneurs within Ethiopia,” she stated, pointing to one female entrepreneur that used the microloans to create her own trade route by buying and selling sheep. While still working at Communitech, Graham joined the board of The Golden Triangle Angel Network (GTAN) and helped create a women investment initiative. She also began speaking out publicly about the challenges of women receiving investment, both at the angel and venture capital stage. Then in 2017, Graham joined OCE as a program manager for its Market Readiness Co-Investment Fund. It was there that she started to notice the impact Fierce Founders was having on her fellow female entrepreneurs. “Women [typically] only receive two percent of venture capital funding, always in the single digits, and that’s where I was seeing my Fierce Founders struggle,” she said. However, while at OCE, Graham started to see companies from Fierce Founder’s first cohort receive funding from OCE, which helped them close angel investments as well. “I realized the impact I was having, where it was funneling into this early stage of investment and that’s where I wanted to make an impact, and learn, and provide greater access,” she stated. Graham’s fellow Diversity Fund co-founders, Olowolafe and Asare, both also play large roles in their respective communities. The two launched Dream Maker Ventures as the first Black-led venture fund in Canada, in 2015. Olowolafe also sits on the advisory boards of the DMZ, #MovetheDial, and Tech4SickKids. Asare is a startup advisor and innovation consultant for HartNamtemah, a business consulting and investment firm for African startups. An entrepreneur himself, Asare is also a DMZ alumnus. “Our mission with the Diversity Fund is to #ChangetheNarrative and showcase that successful a top-tier VC fund can be built around a thesis of supporting diverse, underrepresented founders within the tech community,” Asare said. Over the past three years, the VC firm has added 18 companies to its portfolio, making more than $3 million in investments. Its portfolio includes Hopper, Second Closet, MadLipz, and Hubba. Graham told BetaKit that Olowolafe and Asare have already focused on investing with a diversity mindset, and as such, some of these companies will join the Diversity Fund as part of its official launch. Dream Maker Ventures is also serving as the general partner (GP) for the Diversity Fund, putting forward $2 million in investment towards its goal of $75 million. While the fund doesn’t have any “hard commitments” just yet, Graham said it will be making announcements shortly, noting a high degree of interest from LPs. Graham, Asare, and Olowolafe’s connections and overall experience in working with underrepresented startups is another way the Diversity Fund will source potential investments, Graham said. Potential investments opportunities will also come from Dream Maker Ventures’ connection to Ryerson’s DMZ. 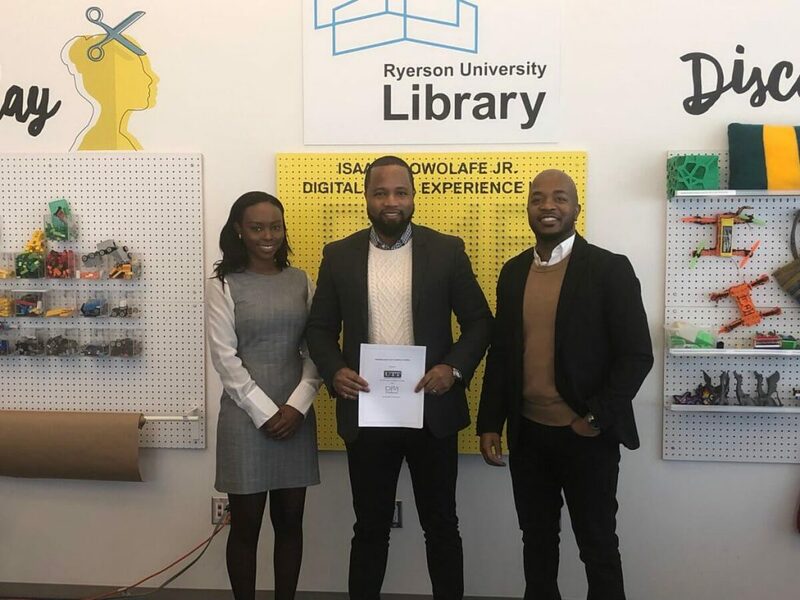 Earlier this year, Olowolafe worked with the Ryerson University to launch the Black Innovation Fellowship, a $1 million program that will be awarded annually to 10 startups led by Black entrepreneurs in Ryerson’s incubator network, including the DMZ. The fellowship is meant to complement the Diversity Fund’s thesis, which will not only focuses on equity investments, but strategic investments as well. Graham pointed to Dream Maker Corp.’s specializations in insurance and real estate as two ways the organization can make these type of investments. 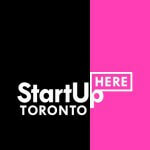 Dream Maker Ventures recently launched its DreamSuites program, which is providing furnished housing for tech entrepreneurs in Toronto. Graham noted that, currently, half of the Techstars cohort is working within the program (the VC firm has invested in Madlipz, a member of Techstars current cohort). Dream Maker Ventures is offering discounted rates for an equity stake in the company as part of a flexible approach to payment for the housing. Asare noted in a blog post that the Black Innovation Fellowship is meant to complement the Diversity Fund and support deal flow, by focusing on helping entrepreneurs from underrepresented communities, and providing access to resources and support from Dream Maker Ventures. Feature image courtesy Danielle Graham. Photo credit Olivia Goldstein.